In the Support section, click on the Get Help button. Your default web browser opens to the Toon Boom Support page. From the Support page, under the Learn Toon Boom Software section, click on the Documentation button. The Toon Boom Help page opens. From the Toon Boom Help page, click on the Harmony Icon. The Harmony 12.2 Help page opens. 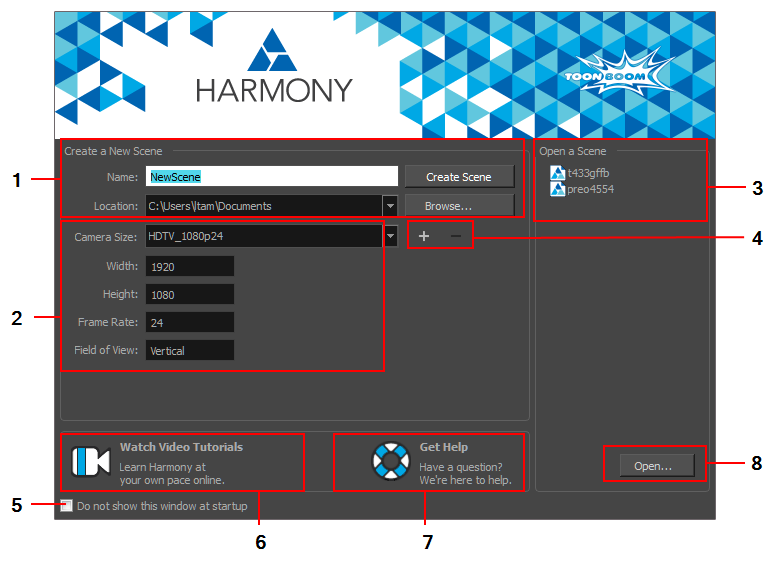 All the Harmony guides can also be opened directly in the software. From the top menu, select Help > Online Help or press F1.